Malaysia’s Court of Appeal ruled on January 12 that news website Malaysiakini had defamed Raub Australian Gold Mining (RAGM) in a series of articles about the health risks associated with living near a mine. The independent news site was ordered to pay 90,000 USD for damages and legal costs. The ruling was criticized by various human rights groups, who see the case as an attack on press freedom. As part of an effort to appeal the decision before a higher court, Malaysiakini has successfully raise funds for its legal battle by asking for donations from its readers. Malaysiakini is one of the most widely read news sites in the country and has received awards for its coverage from the International Press Institute, Reporters without Borders and the Committee to Protect Journalists. The news site has been attacked in the past, with both legal and technical threats, particularly during times of political uncertainty. RAGM filed the defamation case after Malaysiakini published three news reports and two video clips on September 5, 2012 about the health concerns of residents in the central state of Pahang, where RAGM was operating a gold mine. In 2016 Malaysia’s High Court dismissed the case. But on January 12, 2018, the Court of Appeal reversed the ruling after reviewing the coverage of Malaysiakini. The ruling said that the news site was ‘reckless’ for failing to get the side of the mining firm. During the initial trial, Malaysiakini said it merely covered a press conference by local groups about the destructive legacy of mining in their area. Malaysiakini has vowed to appeal the ruling. For its part, while RAGM maintains its position, the company has entered liquidation procedures after suffering financial losses. It is unclear whether this has created additional motivations for RAGM to pursue the case. The ruling alarmed many groups, as it could set a precedent for large companies to pressure independent media who seek to cover their activities. We express our worries that the high sum of the claim by RAGM could drive media away from critically investigating and reporting issues of public interest that involved big corporations. This will further shrink the media freedom in the country. It is completely unacceptable and disproportionate that journalists should be the target of judicial proceedings just for attending a press conference serving the public interest. It threatens to destroy Malaysia’s most established, successful, best known and extensive independent online media operation just weeks before the prime minister launches his re-election bid in the midst of massive corruption scandals, involving billions of dollars of thefts of public money – by him personally. Malaysia’s ruling party has been in power since the 1950s. Prime Minister Najib Razak has been accused of pocketing hundreds of millions of dollars through the anomalous transactions of a state-owned investment firm. Najib once sued Malaysiakini for allegedly allowing libelous comments to be posted on its website. Writing for Asia Sentinel, Mariam Mokhtar noted how the ruling can be considered as punishment and “warning to other newspapers to tread warily” when reporting on issues that can affect the ruling party. Some think RAGM has powerful political connections that allowed it to appeal the case, despite the ruling of the High Court in 2016. 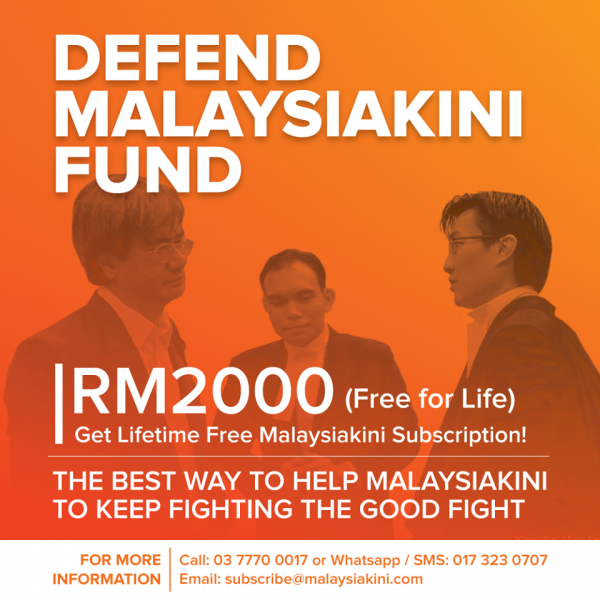 After the announcement of the verdict on January 12, Malaysiakini immediately appealed for public donations to be used for its defense fund. About 2,175 supporters contributed to the defense fund in just 12 days. It was amazing that the sum was raised in just 12 days. It showed that the public supported our efforts to report community issues. On behalf of Malaysiakini's staff, I would like to thank all contributors and everyone who supported us in spirit. There were no tycoons, no corporate sponsorship. Only people like you – wage earners, the self-employed, retirees – giving their hard-earned money to the fund. It is this spirit which we promote among those who work in Malaysiakini. And it is this spirit that we want to see among our supporters and among all Malaysians. Malaysiakini said it will appeal its case before the Federal Court.